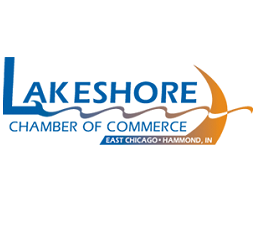 The Lakeshore Chamber of Commerce annual business expo and luncheon is Nov. 13 at Dynasty Banquets in Hammond. The luncheon will be from 11:30 a.m. to 1 p.m. and feature a panel discussion focusing on workforce development. Jim Dedelow, co-owner of WJOB 1230 AM and 104.7 FM, will moderate the panel which will include: R. Louie Gonzalez, chancellor, Lake County Campus, IVY Tech Community College; Peter Korellis, president, Korellis Roofing; Joseph Medellin, manager, human resources, ArcelorMittal Indiana Harbor; and Linda Woloshansky, president and CEO, Center of Workforce Innovations. The business expo follows the luncheon and will run from 1 p.m. to 5 p.m. Luncheon reservations are required and can be made by calling the chamber at (219) 931-1000 or visit www.lakeshorechamber.com for more information.